Chief of Department James Leonard has been with the FDNY since 1979. He worked his way up through the ranks to get to his position. This woman making the allegations has been in the department for two minutes and becomes first deputy commissioner? It's pretty obvious she she's a political hack who doesn't belong in that spot let alone the Fire department. 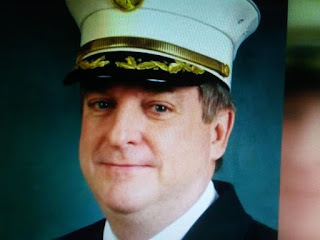 NY Post reports the FDNY’s top uniformed member was removed from his post Thursday amid a probe into his alleged mistreatment of the department’s highest-ranking woman, the FDNY and sources said. Is there a personal relationship between Commissioner Nigro and this woman? What's going on here?